The Advanced Leadership Program is a high-impact and challenging developmental experience for elite female leaders. Over a career-defining, twelve-month journey, participants engage in a deep exploration of their own strengths and weaknesses as they relate to building and leading highly effective organisational communities. Purpose designed to stretch experienced leaders beyond their comfort zone, the ALP challenges participants to develop their critical thinking abilities and begin to unlock their full leadership potential. The ‘leader as coach’ sessions are designed to develop participants’ own coaching capacity so they can not only increase their own self-awareness and developmental insights, but support learning in others. Participants are invited to reach out to their peers in order to form effective partnerships in which they can utilise coaching models to practice meaningful, outcome-driven coaching and mentoring conversations. As participants work through the program, they are asked to identify, plan and undertake an Adaptive Leadership Challenge. Through their Adaptive Leadership Challenge participants have an opportunity to test out new strategies and methodologies and integrate their learning into their everyday environment. Outcomes and results from the Adaptive Leadership Challenge are presented to peers at the end of the program. Encompassing a sophisticated blend of synchronous and asynchronous learning, the ALP immerses participants in a multilayered development journey designed to ensure maximum individual impact. Coordinated via our state of the art learning management system, the program provides powerful and accessible learning. Segmented into eleven key themes, the Advanced Leadership Program engages participants in a comprehensive exploration of the responsibilities and opportunities of senior leadership. Through exploring previous experiences, participants gain a deeper understanding of their innate drivers and derailers and develop the skills to take a more adaptive approach to current and future challenges. An academic partnership with Monash University is now enabling female professionals across the country to gain credit towards the Master of Leadership through their participation in the Advanced Leadership Program. Under the partnership, ALP graduates are able to apply for 12 credit points via specified credit for Leadership studies unit (EDF5670) towards the internationally respected Master of Leadership. This equates to 25% of the qualification. For more information please contact the WLA Admissions Department on 1300 735 904. ALP participants will also have an opportunity to attend the Australian Women’s Leadership Symposium in their home state. Held annually, in every state and territory, the Australian Women’s Leadership Symposiums have been running for over twelve years and have become the most highly attended women’s leadership events in the country. Addressing a wide range of topics including gender equality, leadership, career advancement and life fulfilment, the Symposiums offer an important opportunity for Australian women to stay abreast of current local and international trends. Showcasing the country’s most respected and celebrated female talent, the Symposiums provide the perfect setting for female leaders to share their experiences and learn from their peers. The program employs a multifaceted learning approach based on expert guidance, peer collaboration, self-analysis, experiential exercises and practical application. Theoretical exploration is continually overlaid with real-world experience to ensure that participants develop the adaptive skills needed to confidently overcome future challenges. This process is further enhanced through a combination of executive coaching and peer group mentoring, enabling participants to cultivate valuable peer level networks, build their self-confidence and hone the skills to lead at the highest levels. ALP participants are also provided a unique opportunity to engage with an extended network of high profile, experienced leaders through participation in the Australian Women’s Leadership Symposium. Held annually in every state and territory, the Symposiums are the most prestigious women’s leadership events in the country. All applicants enrolling into the Advanced Leadership Program must satisfy WLA’s admissions criteria and adhere to standard admissions policies and procedures. Enrolments are at the discretion of the WLA Admissions Department. Enrolment details may be obtained by contacting the WLA Admissions Department. The program enrolment fee is $18,990 (+GST). The enrolment fee covers all tuition and coaching, program related materials and access to the WLA online learning portal. The enrolment fee does not cover travel and accommodation costs associated with attendance at the face-to-face elements of the program. Ellie Brown is a course facilitator for Women & Leadership Australia, a role she pursued following her completion of the Advanced Leadership Program. 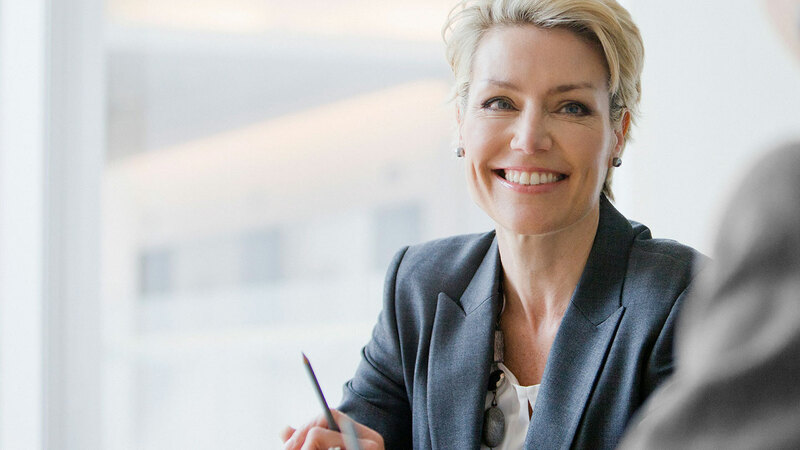 Created to radically develop Australia’s executive talent pool, the Advanced Leadership Program seeks to enable the advancement of elite women across all sectors and industries. During a career-defining, twelve-month journey, participants accelerate their own career potential and become part of an exclusive cohort of exceptional female leaders.